How to save EMLX as ODT in batches fast and with comfort? You are here: CoolUtils > Total Mail Converter > How to save EMLX as ODT in batches fast and with comfort? If there is no way to read EMLX files, you need to convert them into a format supported by your software. EMLX is a format for Apple mails, so it is not readable by open source operating systems like Linux, Ubuntu, etc. In order to read their content, you need to export EMLX into OpenOffice format using an email converter. Conversion to ODT will turn encoded mails into text files, easy to read and edit inside OpenOffice or other open source text editor. 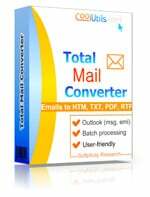 Total Mail Converter is a program that performs such mail conversion with ease. It will take a minute to process all EMLX files, because it allows users to convert EMLX to ODT in batch, combining all sources together or creating a separate ODT file for each. You will also be able to setup page formatting, i.e. specify margins, paper size, orientation. 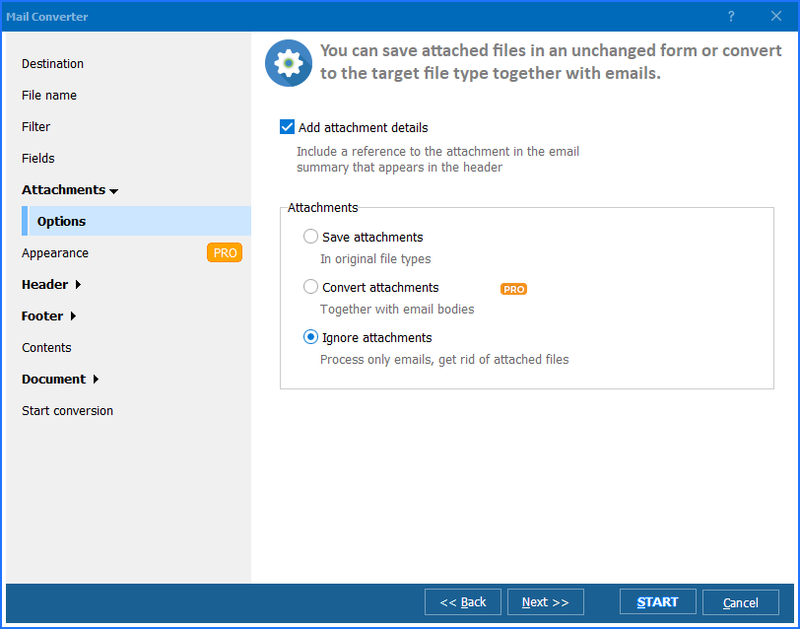 Attachments settings include ability to convert attached emails, insert attached images into ODT copies or save them to a folder (in non-converted form). 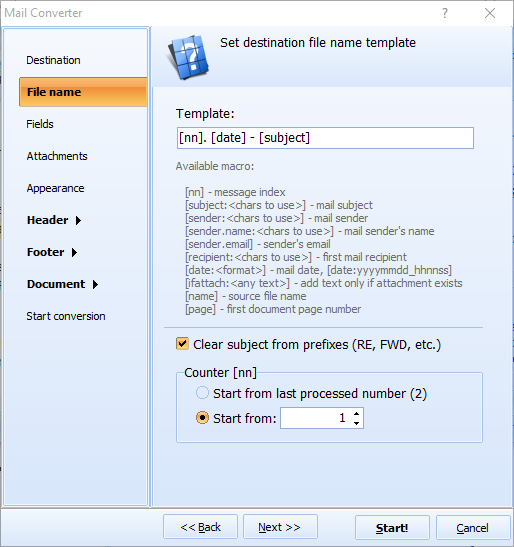 Total Mail Converter Pro has more options for processing different types of attachments, including archives, text documents, media files, etc. A standard of this batch email converter recognizes only attached messages and images. Total Mail Converter has a built-in mail viewer. So if you need just to check what in EMLX file is, there is no need in its conversion. If you need to export EMLX to OpenOffice, then conversion is required. 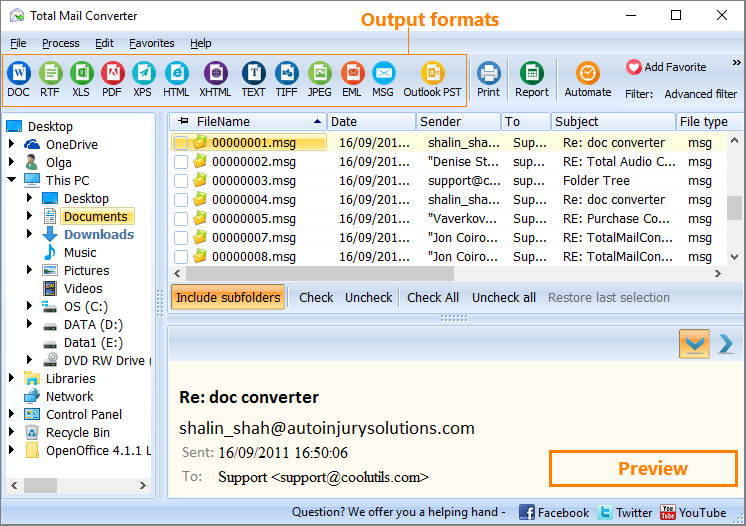 Do it quickly and correctly using this mail converter!